Tutoring is one way for teachers to earn extra money after school. Teachers are rarely paid what they’re worth, which is one reason you might be looking for a part-time job after hours. If you are a teacher whose paycheck doesn’t quite make the grade, you can alleviate some of the financial pressure by finding work at places that remain open after the bell rings. From independent work to food-service, you can find a number of ways to increase your income without losing your sanity. You’re already a gifted teacher. Putting your skills to work outside of the classroom can boost your income and help you to develop unique mentoring relationships with young people who need extra help. Whatever subject is your forte, consider taking on a few tutoring clients either from your school or from your circle of friends and acquaintances. By being self-employed, you can also set your own schedule, which will help you find the right workload for your lifestyle. There’s money in the food industry. Waiting tables and serving coffee might not sound lucrative, but that depends on the situation. At any rate, there are a few perks. One, you’ll be getting paid, even if it isn’t much. And, two, you’ll get to interact with adults, which can be a welcome change if you’ve been discussing life with 8-year-olds all day. Consider the restaurant and café options close to your home, though, so that you’ll be able to go right home and kick up your tired heels after the shift. If you’re particularly gifted at selling goods or holding parties, consider becoming an independent distributor of one of the many jewelry, skin-care, kitchen supply or make-up businesses you can do from home. You will earn extra money and you’ll also get free products and the chance to hang out with friends and meet new people. If you’ve got a side skill that you aren’t able to use in the classroom such as baking, making jewelry or sewing, you can turn your hobby into a part-time job that lets you do what you love, bless others with your skills and earn extra money. Because this is something you can do on your own, it’s another option that lets you work at your own pace and create your own hours. You can also set your own prices. 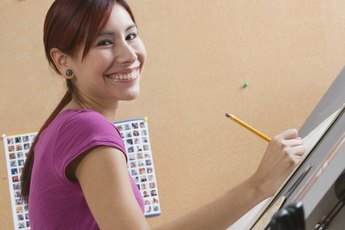 Entrepreneur.com: How Can I Turn My Hobby into a Home Business?